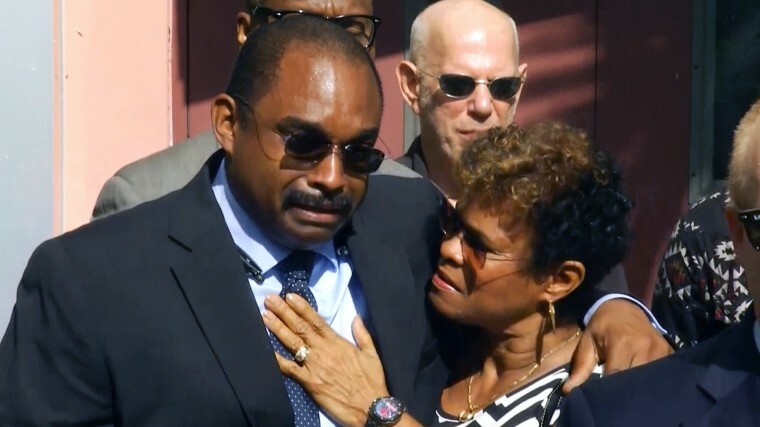 The family of a Florida man shot dead while carrying an unloaded pellet gun said Monday they are grateful a grand jury indicted the sheriff's deputy who killed him but questioned why the cop's bravery award had not been rescinded. The press conference was the first time Jermaine McBean's relatives spoke publicly about the case since Broward County Deputy Peter Peraza was charged Friday with manslaughter for the July 2013 shooting. "Thank you, Jesus, for making them see the injustice," McBean's emotional mother, Jennifer Young, told reporters. "We're not happy, because it's a tragedy. We're appreciative because they were able to come to this decision." As NBC News has previously reported, McBean, a 33-year-old computer engineer, had just bought the air rifle at a pawn shop and was walking home with it when several passersby called 911 in alarm. Peraza shot McBean as he walked through the courtyard of his apartment complex. Police claimed that McBean pointed the pellet gun at them, but one of the 911 callers told NBC News that he never took it off his shoulders. Police also said that McBean ignored their shouts to stop and drop the weapon and that there was nothing that would have obstructed his hearing, but a photo that surfaced this summer seemed to show that when McBean was shot, he was wearing ear buds in his ears. Police said they were later found stuffed in his pocket at the hospital. The shooting was still under investigation when Peraza and another officer at the scene were nominated for bravery awards. McBean's brother, Alfred, said he is disturbed that the award still stands, even after Peraza has been indicted and suspended without pay. "The question I ask is: If a citizen of Broward County with an unloaded air rifle — walking home, minding his own business — is shot and killed, should a deputy still have an award?" the brother asked. Keyla Concepcion, a spokeswoman for the sheriff, said there are no plans to withdraw the award "because we don't want to prejudice the jury, even more so now." Peraza, who is free on $25,000 bond, is the first Broward County officer indicted for a fatal on-duty shooting since 1980. On Facebook, his supporters reacted to the indictment by making their profile pictures a photo of a badge bearing his name. An online fundraiser had more than $12,000 in pledges. Peraza's lawyer said Friday that he believes the indictment was a reaction to protests around the nation over police shootings of civilians and predicted his client would never be convicted. 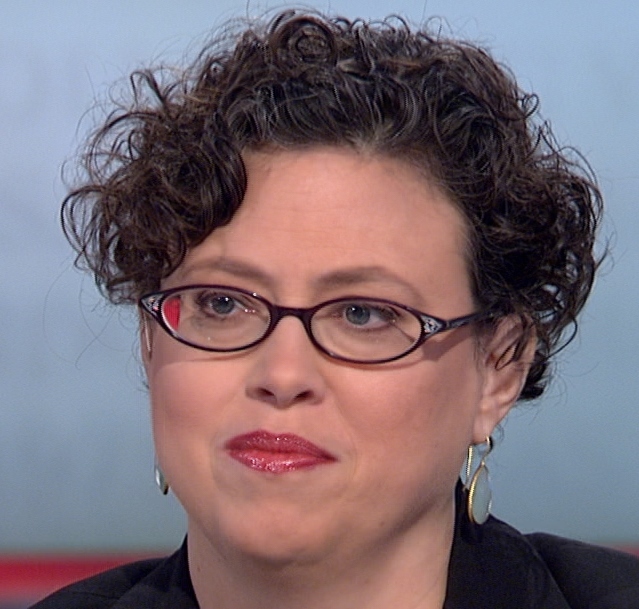 Tracy Connor is a senior writer for NBC News. She started this role in December, 2012. Connor is responsible for reporting and writing breaking news, features and enterprise stories for NBCNews.com. Connor joined NBC News from the New York Daily News, where she was a senior writer covering a broad range of news and supervising the health and immigration beats. Prior to that she was an assistant city editor who oversaw breaking news and the courts and entertainment beats. Earlier, Connor was a staff writer at the New York Post, United Press International and Brooklyn Paper Publications. Connor has won numerous awards from journalism organizations including the Deadline Club and the New York Press Club. She lives in Brooklyn, N.Y.